Obviously I’m back with another anime discussion and as you can tell from the title I’m talking about things we do or have done as anime fans. Also when I say we I mean I and so I don’t mean to offend anyone with the things I chose to add on this list. I also don’t mean to make fun of anyone. Remember I come out with new videos every Monday, Wednesday, & Saturday so be sure to subscribe if you haven’t already. Also be sure to click the bell icon to turn on post notifications so that you’re notified when a new video is released. That is the name of my new video for today’s anime discussion! Check it out!! Hello everyone and it is finally Friday so that means that it’s fanfiction Fridays! Today I decided to post a Narutp fanfiction with a couple that’s definitely not one you see a lot. That couple is Sakura and Shino. This fanfic was actually really good and yes please read with caution since it is rated M so there are a few racy scenes. Synopsis: While freaking out in the middle of the Chunnin Exans Sakura has a bit of a panic after she starts hiccuping butterflies! Most of her vibrant butterflies take an interest in Shino, and Shino takes an interest in her. Alright there is the info so enjoy! Also comment down below if there is an fanfics you would like me to check out. Like always I will always answer back. Hello fellow anime watchers and fanfiction readers! Today is of course Friday and that means it’s the day that I post a fanfic that hopefully many of you will enjoy. Like always I did not write this fanfic but I have read it. I’m just to share the word about this awesome fanfic so enjoy. Today I’m posting a Fruits Basket fanfic and the pairing is Tohru and Yuki. 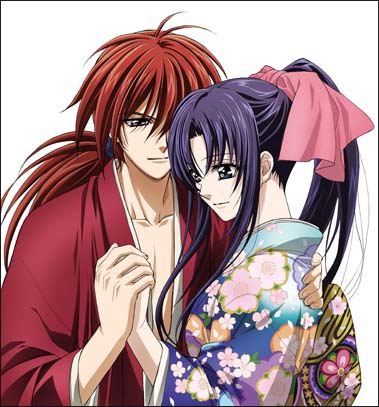 While they aren’t the actually pairing in the anime and the manga I still do like them as a couple. So I will leave all the information down below and the link to the story will be in the title. Synopsis: Tohru has a problem that requires her to get pregnant now. She chose Yuki to be the father of her child. Now that that problem is out of the way she’s on for the roller coaster ride of bearing a child as a woman on sixteen years old. Alright so there is all the info so please enjoy and let me know what you think about fanfiction Friday’s. Also there is a sequel to this fanfic but it’s not finished yet. But still enjoy! Welcome to the first post for fanfiction Friday’s please enjoy!!! Alright so I know that this is a total weird pairing but I found the fanfic to be quite cute and I know I’m not the only one who may have thought of them as a couple. But this is a Fruits Basket fanfic so please enjoy. I’ll have the info and the link to the story below! 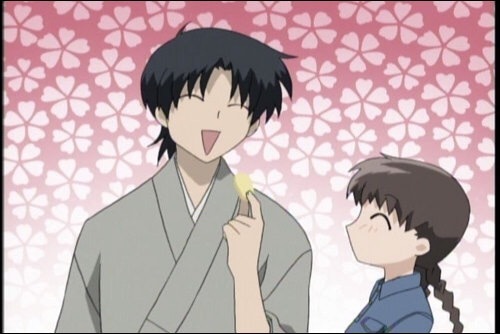 Synopsis: Shigure has always been fond of Tohru, whom he calls his “little flower”. But what happens when his brotherly instincts slowly turn into love? Alright there is the info! Enjoy and let me know how you like it.